Dodgers time means classic baseball in the hot LA sun. 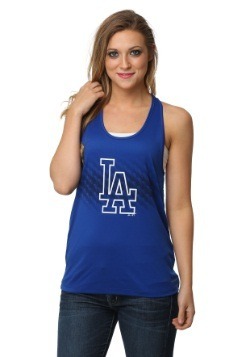 And if you're ready to watch your favorite team, make sure you have this Los Angeles Dodgers t-shirt to watch the diamond showdown in style! With the iconic franchise insignia logo graphic design printed on the front, you'll have no problem broadcasting to the world that you're all about that LA baseball! With a brilliant blue hued all cotton material, this shirt is most definitely going to be a stylish addition to your MLB apparel and accessories. And with the over-sized graphic print, we're darn sure there won't be any confusion as to which team you're rooting for! 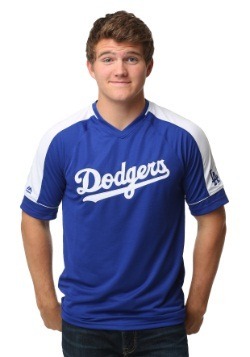 Get this MLB officially licensed t-shirt for your game day apparel selection, and whether you watch the game in person, on tv, or even on the radio, you're sure to feel like a real deal Dodgers fan in this classic Majestic t-shirt.